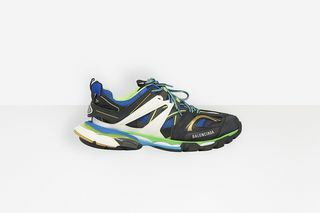 Key Features: Synthetic, leather, and mesh construction, with overlapping protective panels, extended tread, fortified soles, and tongue and heel pulls. 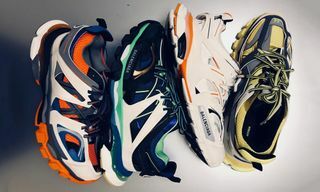 Editor’s Notes: Balenciaga has officially introduced its new athletic sneaker, the Track, which was debuted at the fashion house’s Fall/Winter 2018 runway show. 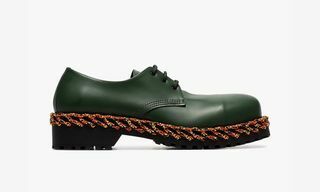 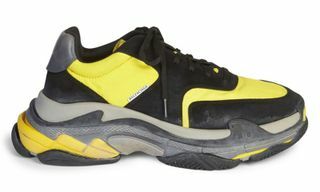 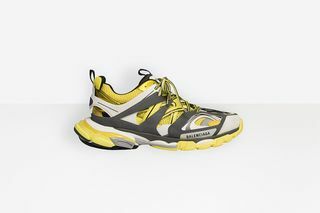 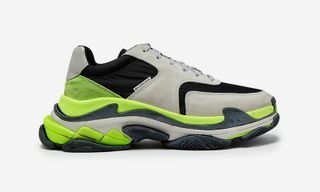 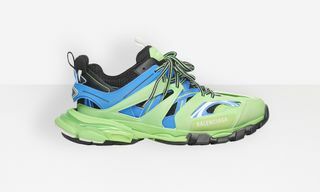 From the mind of artistic director Demna Gvasalia, the Track features hiking and running performance elements, with overlapping protective panels, extended tread, and fortified soles. 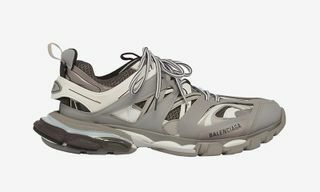 The high-tech Balenciaga Track launches worldwide September 24 in five colorways for men and two for women. 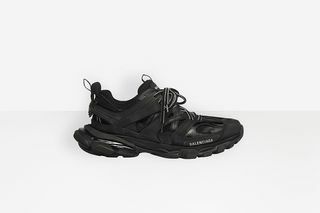 Be sure to hit us with your thoughts on the all-new silhouette in the comments below. 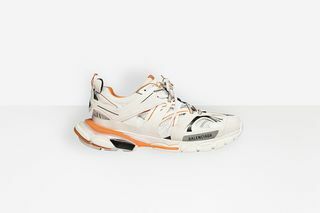 Staying with Balenciaga, the brand’s popular Triple S has arrived in a bold blue and orange colorway.